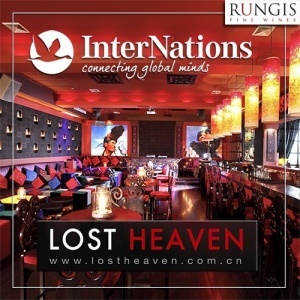 Please join us at one of Shanghai's most iconic restaurants, Lost Heaven. The magical Yunnan Folk Lore themed restaurant serves cuisine that is unmatched and the dark red glow of the atmosphere relates a comfortable aura of ancient wisdom. The event will be held on the 3rd floor lounge and guests may peruse the Yunnan folk photography throughout the restaurant. After the event there will be an afterparty in Bar Rouge for those of us who may not want to call it a night just yet. The reservation is under the Ambassador's name, Jared Bishop. You will gain free entrance. As usual, so many wonderful people will attend this event so be sure to bring plenty of business cards.